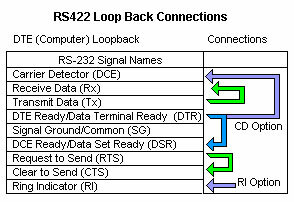 To check if your RS232 to RS422 converter (or USB to RS422 converter) is working properly you can make a loop-back test using a terminal program such as AccessPort. This way you can determine if the converter can send and receive characters properly. 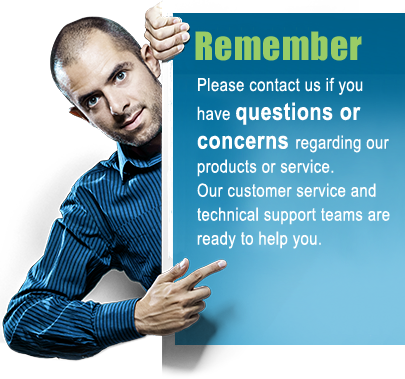 Please refer to the datasheet for your particular converter in regards to correct pin configuration. After you have made the loop-back connections on the converter you can now open AccessPort. 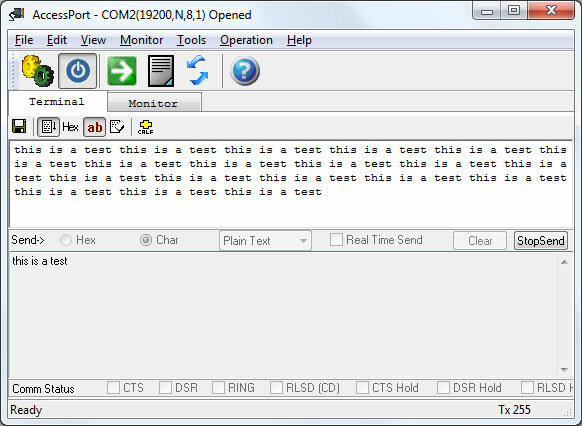 AccessPort is a terminal software which allows you to send and receive characters to and from the converter. The software can be downloaded here. 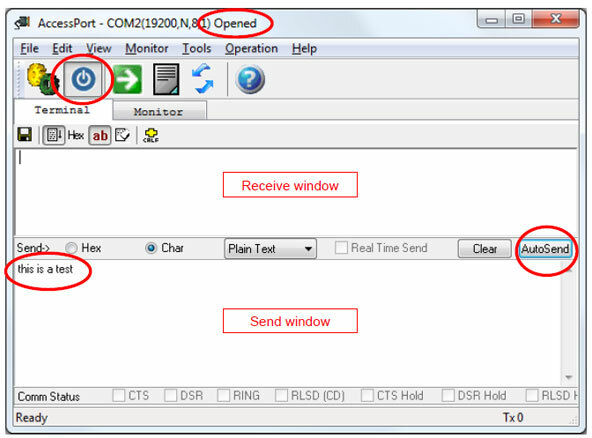 Within AccessPort you can now open the COM port to where you have connected the converter (check the COM port number in Device Manger if you use a USB to RS422 converter). You can now enter a string of characters (in the lower window) and click the Send button to send the data to the COM port. 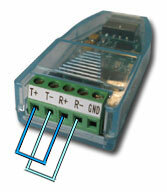 If the converter is working properly, and the loop-back connections are made properly, the characters will be sent to the converter and back to AccessPort (in the upper window). This confirms that the converter is sending and receiving data.